From bespoke Cornish Christmas Hampers made up of delicious Cornish Hamper goodies of your choice to our pre-designed and beautifully packaged range of Cornish Christmas Hampers there really is something to suit the whole family – with even the family dog catered for! 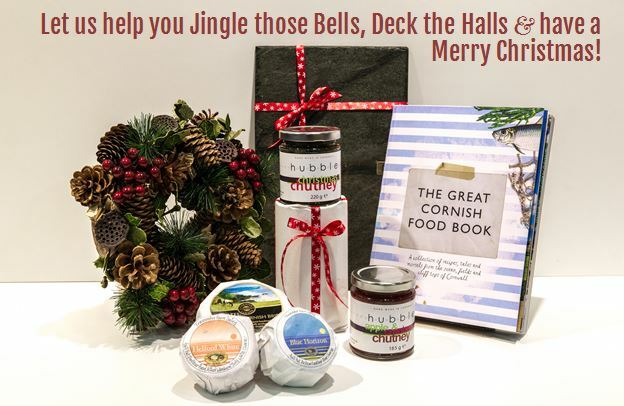 Click here for our Cornish Christmas Hamper Shop! Our Cornish Christmas Hampers come beautifully packaged in a range of kraft Christmas Hamper boxes – all tied with a deep red raffia bow and finished with a Christmas Gift Tag containing your personal message. Cornish Christmas Hampers can be sent next door, nationwide and even worldwide and our Cornish Christmas Hampers online include delivery in time for the big day to any UK Mainland address! If you have any special requirements for your Cornish Christmas Hampers or would like to have a chat about what we can offer, please don’t hesitate to get in touch. 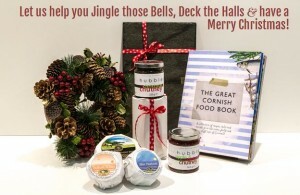 We look forward to helping you send the perfect Cornish Christmas Hamper Gift this Christmas.